This concept of a child going away to study at a university shouldn’t really phase me at all, right? I’m a college professor. I have been for years now. I’m the one smiling at other parents during Open Houses as I say all the right things to them about how their student will love college; how they will grow and flourish; and how they will have the time of their lives. This should be easy for me as I have a son who will start his freshman year at a university in Pennsylvania in a few weeks. I’ve been in this profession since 1993, long enough to know that all that I say to parents is true: college is a wonderful, meaningful, explorative time for maturing young adults. So why I am I sitting here typing this with tears in my eyes knowing that in a matter of days (yes, I have started the mental countdown of how many nights my son will have at home before he leaves), he will be living with a roommate in a college dorm? Because it’s difficult being a parent, all around. It’s difficult to raise a good kid, and it’s difficult to temporarily say goodbye (for now) to a good kid. The power of time—and how quickly it flies by—never ceases to amaze me. This afternoon, I went for one of my long walks in the neighborhood, and an empty house that’s been renovated for the last several months had a moving truck in front of it. New residents were finally moving in, and the place was bustling. It reminded me that only five short years ago, we moved into this neighborhood as well, and I remember driving into our lovely pool and tennis facility and thinking: the kids are gonna love it here. Boy, have they. From playing tennis to golf to hanging at the pool to making some spectacular friends, my kids have enjoyed our neighborhood. The high school is a little over a mile away and is brand new; they participate in activities and are spoiled by the state-of-the-art, new facility. My son played on the tennis team, then transitioned to the golf team, where he made strong friendships and eventually became the team’s co-captain; and he loved every minute he was in DECA, serving as Vice President to his best friend’s presidency. My son was going into his eighth grade year when we moved, and to be honest, I wish we had moved here sooner. I would have loved for him to have spent his entire middle school years through high school in this setting and with his wonderful friends. He’s going to miss these guys—a great group of young men he’s been tight with for five years now. He readily admits it. And I’m going to miss the whole crew of them coming in and out of our house, playing Xbox and eating all our Cheese-It crackers and playing 80s tunes and rap music in the basement. There’s a sense of emptiness that I’m fully expecting to feel as I pass a tidy room with a made bed when he’s gone and not the sort of organized chaos that takes place in his room currently. I’m going to miss seeing the golf spikes near the doorway and the golf club head covers resting on my kitchen counters. I’ll miss the backpack that was always parked across the dining table and not in the cubby in the office where it belongs. And to be honest, as a working mom, I’m going to miss giving my son a quick call in the afternoon if I have to stay late on campus asking him to pick his younger sister up from school activities or take her to her job. He probably doesn’t know just how much we love having him around and how much we rely on him as a part of this family. He also probably doesn’t truly comprehend how much I will miss him. He and I have a similar sense of humor and find the same things funny; we share inside jokes that no one else in the house gets; and he still hugs and kisses me without being asked to do so. Yes, it’s going to be a lot quieter around here. A lot emptier. When we eat dinner, there will be that empty chair. I should be ready for this—I’ve had 18 years to prepare for it. But as you can ascertain, clearly I am not. 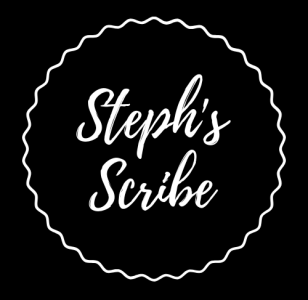 Stephanie – this speaks to me and totally makes me cry! I am watching all of my fellow mom friends navigate through this transition…looking, looking for somebody that tells me that they got this, that they feel no pain, that they are in control of their emotions, that this is something they look forward to, blah blah, blah. I realize this is just not gonna happen! This is just one of those very hard transitions, if not THE HARDEST transition that we as moms / parents will experience. I see that moms survive, but still experience that twinge when they see the unoccupied clean room, the empty seat at the dining room table, etc. I keep telling myself that this is what is supposed to happen – that we work our whole parenting lives to enable our children to become independent…to not need us…but holy hell nobody could tell me how very viscerally painful this particular transition will be. I appreciate your candor and honesty. Ugh.